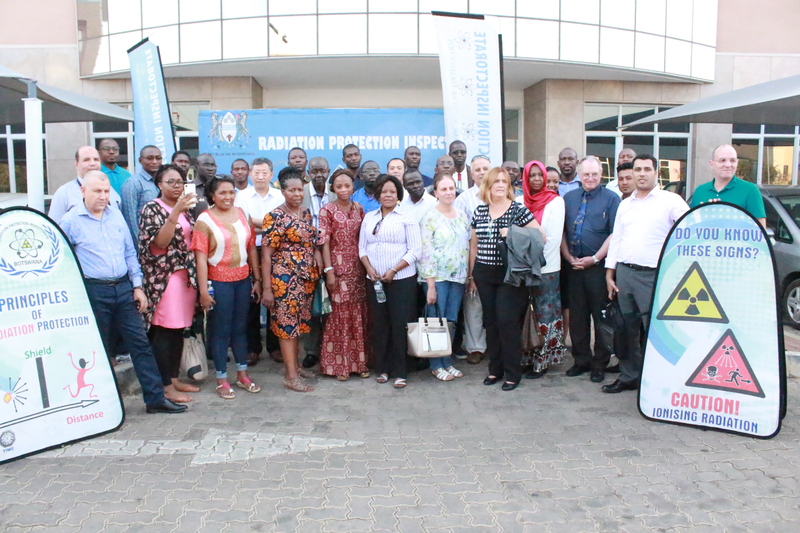 The Regional Meeting on the Organization and Implementation of the National Dose Registry (NDR) was organized by the Government of Botswana through the Radiation Protection Inspectorate, in Gaborone, Botswana, 13-17 August 2018. The meeting was a planned activity under the IAEA Regional Technical Cooperation Project, RAF9057 Strengthening National Capabilities on Occupational Radiation Protection in Compliance with Requirements of the New International Basic Safety Standards. Thirty participants from 21 Member States in the region, three external experts from China, Cuba and Germany as well as an IAEA Technical Officer attended the meeting. The purpose of this meeting was to support the Member States in the region with the establishment and operation of the NDR, to introduce relevant requirements and guidance on record keeping of occupational exposure in accordance with the IAEA Safety Standards. This regional meeting also served as a platform to share experiences and to discuss issues related to the application of the national dose registry in the Member States in the region as well as to promote the use of the available software for national dose registry. The meeting involved expert presentations, country presentations, introduction and demonstration of the NDR software donated by China and the software developed under the TCLA (IAEA) regional project, working group discussions and a technical tour to the laboratories in the hosting organisation. During the meeting, the two software programmes were installed successfully on the laptops of some of the participants, and consensus has been reached on the legal and technical criteria regarding the establishment and operation of a NDR. It has also been recognized that networking and exchange of experience in the region is very important for promoting the NDR in the region. It has been a very successful regional meeting and a milestone for the establishment of the NDR in the region.